There are many ways how to detect that you are pregnant. But in my experienced I use pregnancy test that has 99.9% accuracy after a month I missed my period. For me pregnancy test is the most cheapest but effective way how to detect pregnancy. After I detect that I was pregnant I visit right away a center near our place to obtain a personal ob-gyne doctor who can take good care of me during my pregnancy until my labor day. My personal ob-gyne prescribe me a ferrous sulfate from the start upto 9months to avoid being anemic and ob-max as my vitamins when im in 5-9months of my pregnancy. Lots of ob-gyne doctors suggest to avoid using cigarettes and alcoholic drinks for a pregnant woman to avoid health problems to a baby or to avoid physical deformation during the development stage. 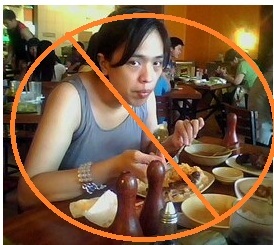 During 2-4months of pregnancy you cant avoid food cravings like me during that pregnancy stage I really love to eat but my ob-gyne advice me to avoid eating too much fatty and salty foods to avoid edema and those foods that can cause allergy because almost all of the medicines are very dangerous to take by a pregnant woman. I remember during my pregnancy the only medicine that I take and prescribed by my ob-gyne are biogesic for fever, and amoxicillin or cefalexin in my urinary tract infection. When I got cough and colds during my pregnancy my ob just advice me to take lots of water and eat lots of fruits that is good source for vitamin c.
During my 4months my ob gave me a vaccination for tetanus toxoid to secure me and my baby against pregnancy infections. In my 6months I under go ultra sound to verify the gender of my baby. When I reach the 8months of my pregnancy I walked everyday as my exercise many people suggest me to do it and it is also suggested by my ob-gyne to have easy labor. In my 8months also it is a good time to buy things for baby. Buying baby needs have lots of consideration to make your baby comfortable. 1. The dress of a baby must be cotton so it can gives your baby a comfortable sleep. 2. Before buying feeding bottle think first if you like to give your baby a breast milk or milk formula. 3. The crib. What type of crib you would like to use for your baby? 4. The room environment for your babies room. 5. Type of diaper you would like to use for your baby. Many more things you should consider when comes to your babies need. In 9months just stay at home only because this is your waiting moment for your sweet angel to come. Moms Day. Watermark theme. Powered by Blogger.